Character templates eliminate a lot of the fuss and headache of character design for new GURPS players, and provide even veterans with inspiration that can help them get over writer's block. The catch? Templates shift much of this load onto the GM, who might suffer from headaches and writer's block of his own! 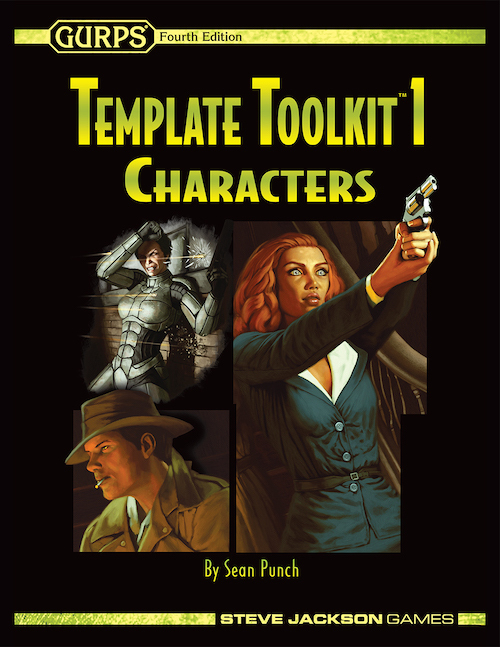 GURPS Template Toolkit 1: Characters comes to the rescue with practical, step-by-step advice on how to create good character templates customized to your campaign. After a quick refresher on what templates are and what they're good for, this primer launches into extensive guidelines on designing templates individually and in sets. Topics include niche protection, player choice, point-cost optimization, lenses, and template notation. But that's not all! Players will also find this supplement useful, even in a campaign that won't use templates. 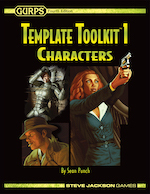 Its detailed advice on template design doubles as a guide to designing efficient characters who can fill solid roles. To help you get your GURPS game going easier than you thought possible, check out How to Be a GURPS GM. For ready-made templates to use in various genres, check out GURPS Dungeon Fantasy 1: Adventurers (for crypt-crawling fortune-seekers), GURPS Action 1: Heroes (for movie-exploit protagonists), and GURPS Monster Hunters 1: Champions (for high-powered world-savers).